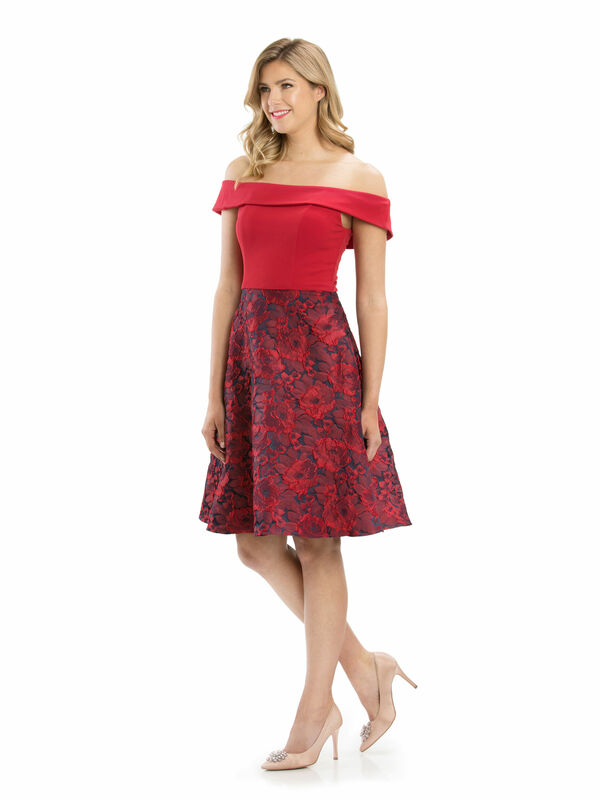 Scorpio Dress https://www.review-australia.com/global/scorpio-dress-red/RE19DR359.RERED087.html All eyes will be on you in the Scorpio Dress this season. 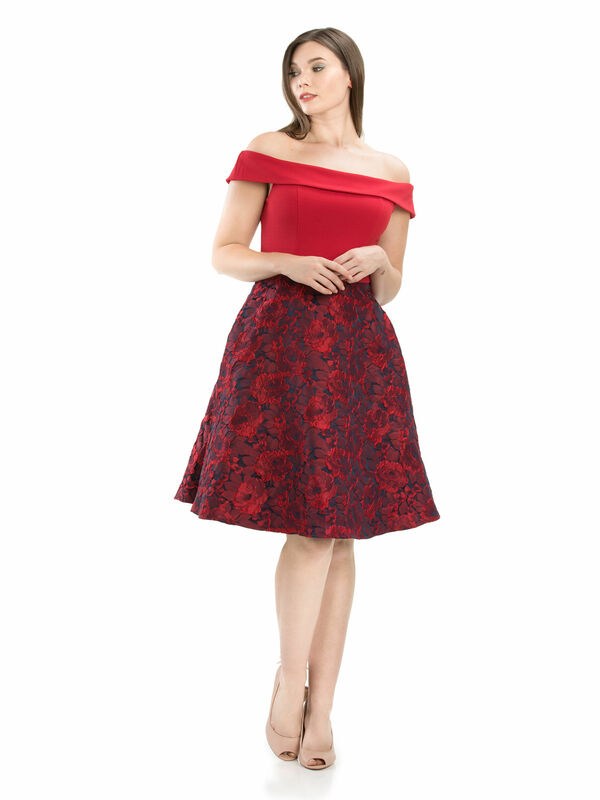 Eye-catching and luxurious, this unique dress blends an off-shoulder ponte stretch bodice with an ornate full brocade skirt with rich red florals. 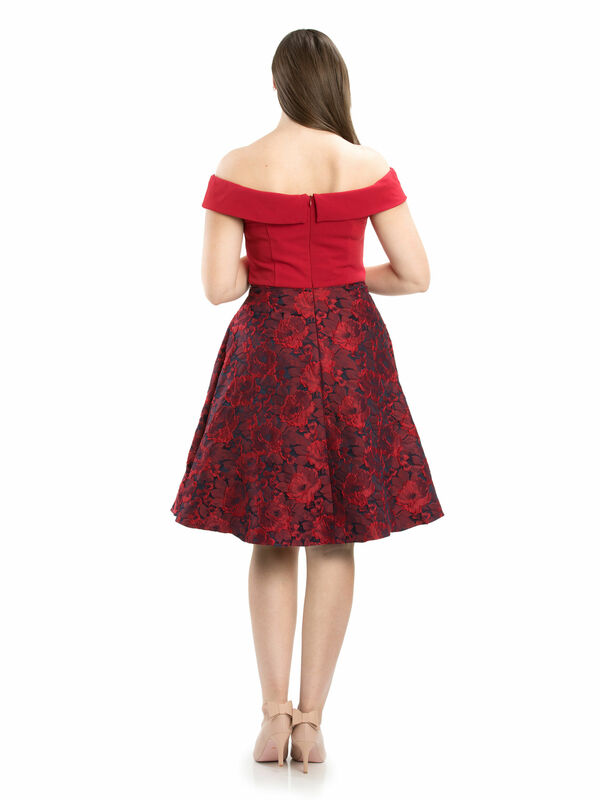 The dress is structured and feminine, creating a bold hourglass silhouette. All eyes will be on you in the Scorpio Dress this season. 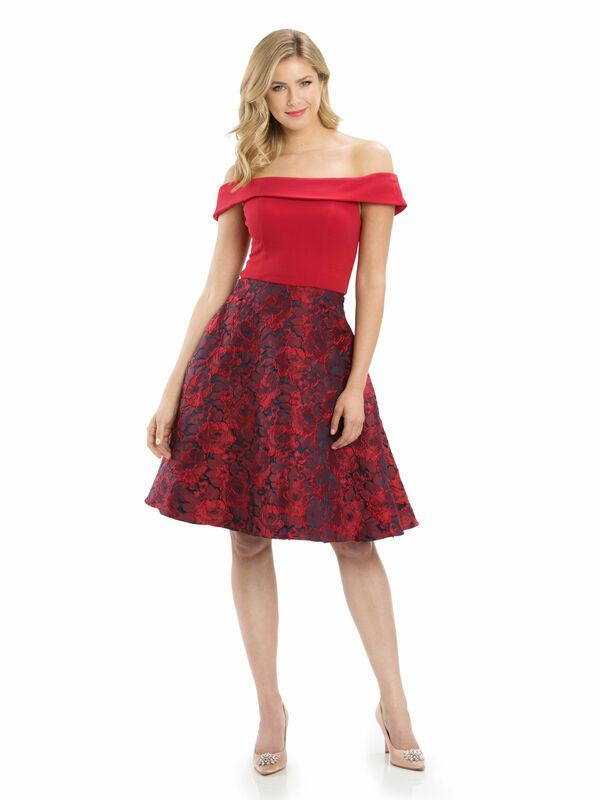 Eye-catching and luxurious, this unique dress blends an off-shoulder ponte stretch bodice with an ornate full brocade skirt with rich red florals. 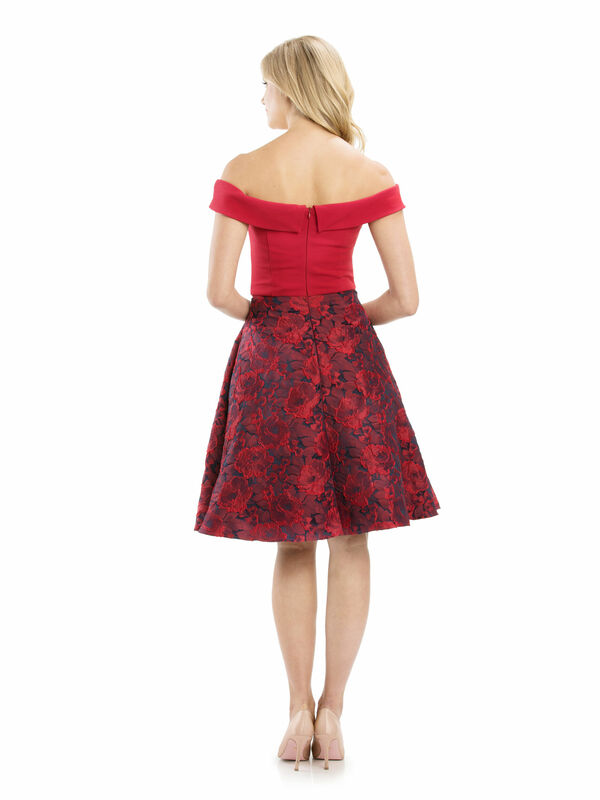 The dress is structured and feminine, creating a bold hourglass silhouette.